Biblical Studies and Technological Tools: BibleWorks closing down... What should you do? BibleWorks closing down... What should you do? With the recent announcement that BibleWorks will cease operation on June 15, 2018, a number of my students for whom BibleWorks was our required Bible software program for many years have asked me what to do. There has also been considerable speculation on both the Accordance and Logos forums about options and transition possibilities. I'll first say that I am counting on BibleWorks running for quite a few more years. Even with upgrades to Windows down the line, there has usually been a legacy program option. (I still can run Win95 programs on Win10!) BW had gotten to a stable release running in VM in Mac, but I'm less confident about its future in the Mac world. If you are thinking about making a transition, both Accordance and Logos will be happy to help, and both are working on ways to import any notes you've written in BibleWorks into their own programs. What should you do? That said, except for a few odd omissions, Logos is the more advanced program. The difference is cost. What I can get in Accordance for $200 for my students would cost closer to $600 in Logos. (If I tried to match all the resources one got in the standard library with BibleWorks, it would cost many hundreds of dollars more in either Accordance or Logos.) Logos has some really excellent features that make great use of their reverse interlinears, and they have a number of other tools and (interactive) guides that are extremely handy. I.e., you do get what you pay for with either, so it's more a matter of deciding what you really need and can afford. I've ended up going with the Accordance Greek and Hebrew Discoverer as a good entry point. It's a reasonable price for our students with a purchase agreement discount. If you have a valid license for BibleWorks 10 you can continue to use the program as usual. We will, Lord willing, continue to provide compatibility fixes for BibleWorks 10 well into the future. This will ensure that you can continue to use the program for the long term. Compatibility updates will be provided through the normal updater mechanism within the program. If you want to start transitioning, Accordance offers some crossover options. Their $149 basic package gets you all the basic stuff. EXCEPT NA28 or UBS5 is omitted. That will cost you an extra $60. (I’ve asked them to reconsider that…) (UPDATE: Accordance adjusted the package, and it now does include NA28. Excellent!) At that point, you’re probably better off paying the extra $189 to get the Advance crossover. But now at $340, you might consider looking at their Greek and Hebrew Discoverer package which occasionally is offered on sale for up to 40% off the listed $399 price. If you don’t need Philo, Josephus, or the Ante-, Post- and -Nicene Fathers, then consider this package and adding whatever other English versions you want. Logos has not officially announced prices, but you can now call to obtain a crossgrade or upgrade for BibleWorks. You can see what resources they offer, but the price is not posted and might vary based on their dynamic pricing policy. They have also posted a helpful video, "How to Use Logos Like a BibleWorks Pro." 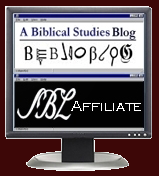 I suspect that with BibleWorks closing, it provides better long-term prospects for Accordance and Logos. One always runs a risk with any digital technology, but even books can be lost, burned, or flooded. Only the Word of God endures forever! If you can import your library into Logos, the software itself is free with a minimum of resources. Some of the extra features and libraries is what costs. But of course I'm a die hard Logos fan and user. How did you generate that report (list of passages)? I've been using BibleWorks daily since 2010 and have kept up with version changes 8 through 10. I'm not sure how you did that. I followed the four steps that you gave under Mark 6:45 but under Stats I get a graph. I'd appreciate knowing the steps to do that. Thank you. J.Gary: Check out this video I created showing the steps I used. That is tremendous! I'll be using that in sermon preparation. Thanks so much.